The Tiffin Centre offers rewarding outdoor activities and learning opportunities for your winter elective program. Join us for a half or full day of programming in a winter wonderland then warm up by the fire with a hot chocolate. A number of our programs run in the winter. Some of the most popular include the following. After identifying the location and function of their sense organs, children will explore nature through experiential activities aimed to heighten awareness of the world around them. Children will investigate the forest in search of clues to help them understand how nature adapts to the challenges of winter. After our hike, children will warm up with a hot chocolate. 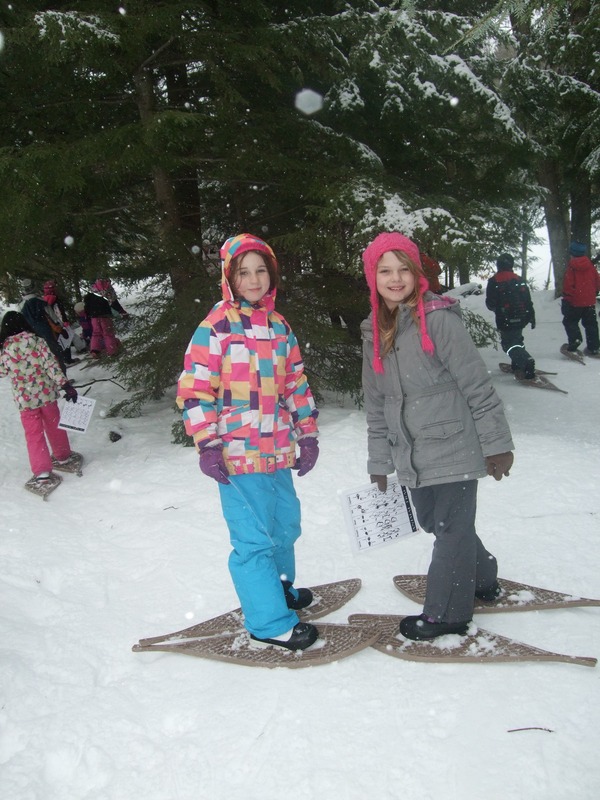 On snowshoes, students become nature detectives to investigate wildlife in winter. This program focuses on wildlife tracking, how animals prepare for winter, as well as their adaptations and habitats. Students are introduced to the basics of map-reading and develop their skills through a set of challenging orienteering courses. The program is adjusted to accommodate​ students of all ages. Students are challenged both physically and mentally a​​s they learn valuable life skills. Depending on the age and interest of students, the program can focus on Fire Building or Emergency Shelter Building. After a brief introduction to the history and techniques of ​these traditional winter sports, students trek or glide through a winter wonderland with an instructor. Round out your day with a round of Snow Snake or other tradition​al winter. Optional campfire lunch on the trail. Students will be challenged to work together to succeed at various group tasks that build in complexity as they make their way through our new low ropes course. This program leads through a progressive range of fun, safe, co-operative games and initiatives that aim to promote teamwork, leadership, trust, communication and problem solving.